Geographical Range: The Panther Chameleon lives in the northern and coastal areas of Madagascar. Habitat: The Chameleon lives in the forest areas and sometimes in the rain forest. It lives mostly in the coastal lowlands where it is warm and humid. The temperature range is from 72-83 degrees Farenhieght and the humidity range is from 70-100%. They like to be off the ground, up in the trees and bushes. Diet in the Zoo: crickets and beetle larva dusted with calcium- In captivity the adults may eat every other day. The babies will eat daily. Their diet can also consist of moths and grasshoppers for adults, and wax worms, meal worm, and fruit flies for the babies. Males are much larger than females. Chameleon's colors vary greatly from one another. The colors include all the colors of the rainbow. Females usually turn brown and gray. The females warn males to stay away by turning dark with orange spots. Adult males are 12-17” in length. Females are 7-9”. The chameleon's body is flattened from side to side. Their legs project to the side and to the back of them. Their legs are also specially jointed so that all four feet can easily grasp a branch located below their body. The chameleon's head has a hard shaped helmet that helps protect it. Their eyes extend out of their head and are covered with scaly skin. Both eyes can turn on their own to look in different directions at the same time. Vision is more important to the chameleon than their sense of smell. They're main defense mechanisms is visual cues. The chameleons tails are prehensile, which means that they can use their tails to grab things. The tails are sometimes curled. Also, the tail provides additional support for catching prey. The feet of the chameleon are V-shaped and perfect for grabbing branches. On the front two feet each one has two toes on the outside and three toes on the inside. On the hind feet there are three toes on the outside and two toes on the inside. By the toes being specailly positioned, they assist greatly in balancing. Their tongue is very special that helps them catch their food. It is very long and has a sticky tip. The tongue is folded on the tip of a bone that helps supports it. Then the tongue shots off the bone, like a catapult, to catch its prey. The chameleon catches its prey the same way a frog catches it's food. The length of the tongue is greater than the whole chameleons body. Sexes are separated both physically and visually, except for mating. To see another Chameleon stresses them out too badly. The chameleons live two to three years in the wild. In captivity they can live five to seven years depending on how well they are taken care of. Chameleons, in captivity, most likely will not drink out of a bowl of water. The chameleon needs to see moving water to actually drink it. Therefore, it can easily dehydrate which would result in kidney failure and in the end he would die. The chameleon prefers to lick the dew off of the leaves in the early morning or catch drops of rain dripping down their faces. But he can drown easily because he breathes through a hole in the bottom of its mouth. The chameleon never sheds, and they move very slowly. When a chameleon is moving fast he hardly takes a dozen steps a minute. He rocks back and forth on a branch and then finally moves one leg. A Female Chameleon that is puffing up and warning predators to stay away. When the male chameleon wants to attract a mate he bobs his head up and down and from side to side to get her attention. If a female wants to mate she will display dull colors, and if the she does not want to mate, her colors will warn him to stay away. buries them under the dirt and leaves. The females really only visit the ground to lay eggs or to look for a mate. Females lay about thirty eggs after 30-45 days of being fertilized. Incubation last 160-362 days, depending on the temperature. If the eggs stay at a stable temperature they may not hatch. It takes 7-9 months for the eggs to hatch. She does not teach her young how to hunt or how to survive. The babies can reach sexual maturity in just one year. The babies shed colors quickly. Juvenile chameleons take 5-10 months to get their color. 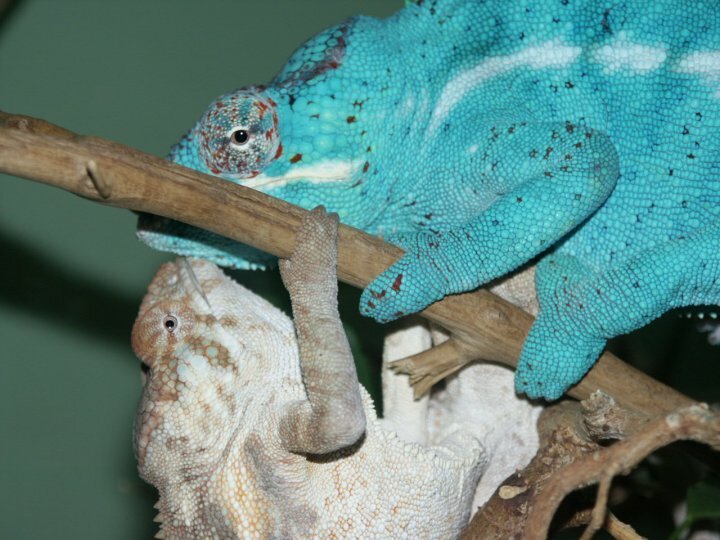 The misconception of chameleons is that they change color to match their background. The color change is actually determined by environmental factors, such as light and temperature.  The color change is also controlled by their emotions, such as fright, victory, or defeat in battle. 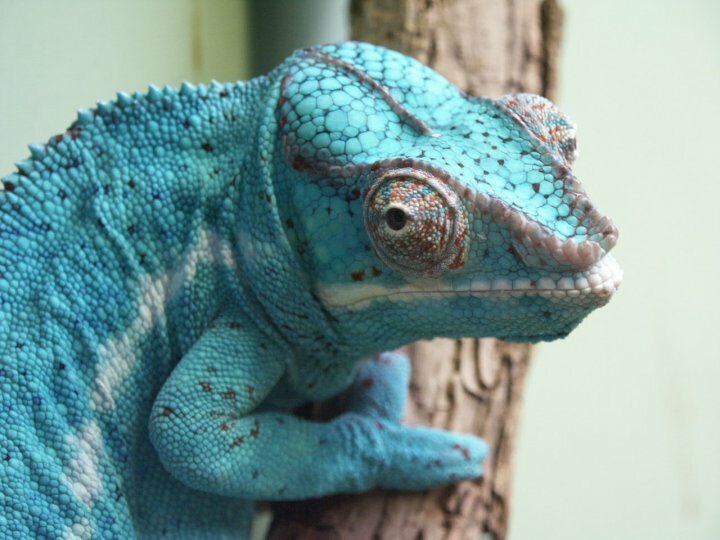 The color change is rapid and increases when it is handled, injured, or approached by another chameleon. Chameleons have bright colors and patterns to warn other chameleons to stay away. The chameleons have pigment granules that contain color pigment and these pigments disperse, which gives them their color. or afraid they will turn darker color and show more complicated patterns. The dominant male protects their territory by expanding the body, puffing out the throat, and waving special head flaps. If he fails to scare the intruder, the attacker will charge and it can snap his jaws because his mouth was so tightly opened. They can also use their color change to help change their temperature. The chameleons can do this because they are cold-blooded animals and they need this special adaptation to keep themselves warm. When they want to warm up he moves into the sun and he turns darker so that the color will soak up the sun's heat. When observing the panther chameleon, he stayed very still the whole time. He was up high and close to the light at the top of the cage. The light is a good source of heat to help warm him up. He was perched up on a branch, just looking at his surroundings. Knudson, Michelle. Colorful Chameleons. Random House: New York, 2001. Honders, John, ed. The World of Reptiles and Amphibians. Peebles Press: New York,1975. Gans, Carl. “Chameleons.” Encyclopedia America-U.S. Constitution Bicentennial Commemorative Edition. Vol. 6. International Addition: Grolier Incorporated, 1989. Tremper, Ron. Homepage. 2Oct. 2003 http://www.herpindex.com/center/cpcare.html. Fraser, Peter. Homepage. 2Oct. 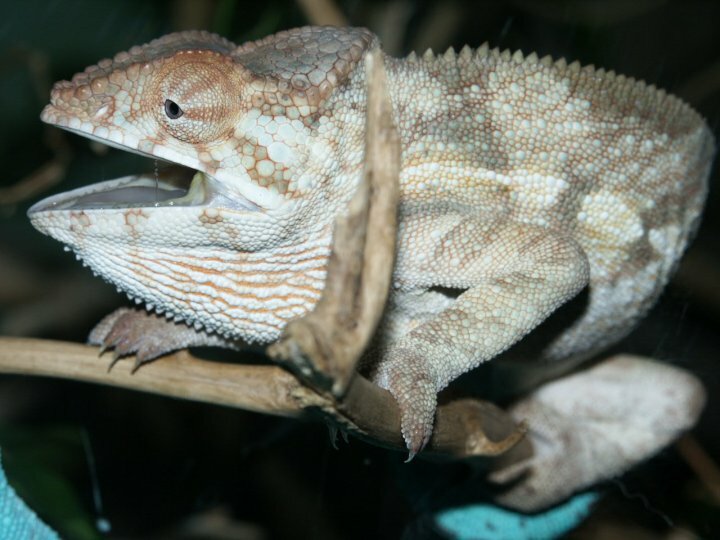 2003 http://www.reptilecentre.com/care_sheets/chameleon_panther.htm.